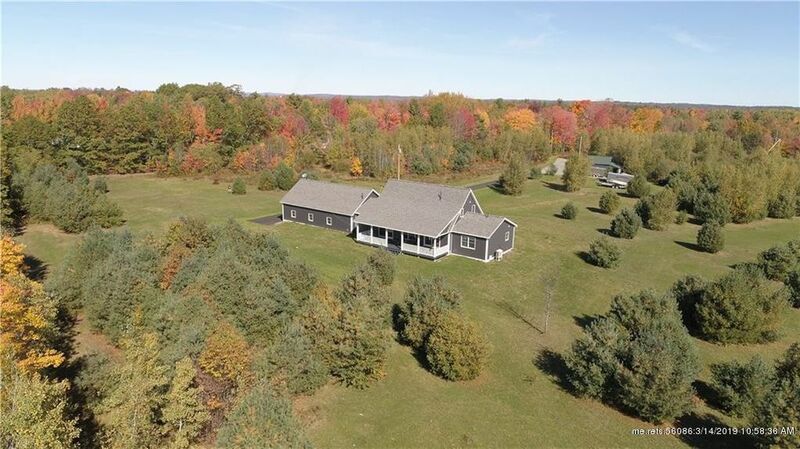 Let the beautiful grounds and quiet country feel greet you as you meander up your private 700 ft driveway to your 2017 quality built custom cape on 19.5 acres. Pull into one of the three attached garage bays and step into the warm tiled entry. Gather around the large kitchen island with granite countertops, maple cabinets, stainless steel appliances with a dual oven and refrigerator with built in Keurig machine. Grab your coffee and relax in the living room with exposed beams or sit on your expansive farmers porch and wait for the wildlife to join you! With many more well planned and thought out features, this home is a MUST SEE! Call us today for your personal tour. Directions: From I95, get off exit 159 Ridge Road (left) toward Plymouth. Go approximately 2.03 miles. Home is on the right.